Continuing its tradition of spicing up your holiday seasons, BitCasino.io is launching a new slot promotion for this October to get you psyched up for Halloween 2017. The promotion comes with a shared prize pool of m฿5,000 that will be divided between dozens of lucky slot players who play the pr-selected Microgaming slot games at the casino. So, if you’re interested in winning some candy money just in time for the holiday, check out the full details below. The Halloween promotion began on October 11th and it will last until October 24th, a time during which you’ll be given a chance to play some “SPOOKtacular games” in return for tickets in the prize draw. 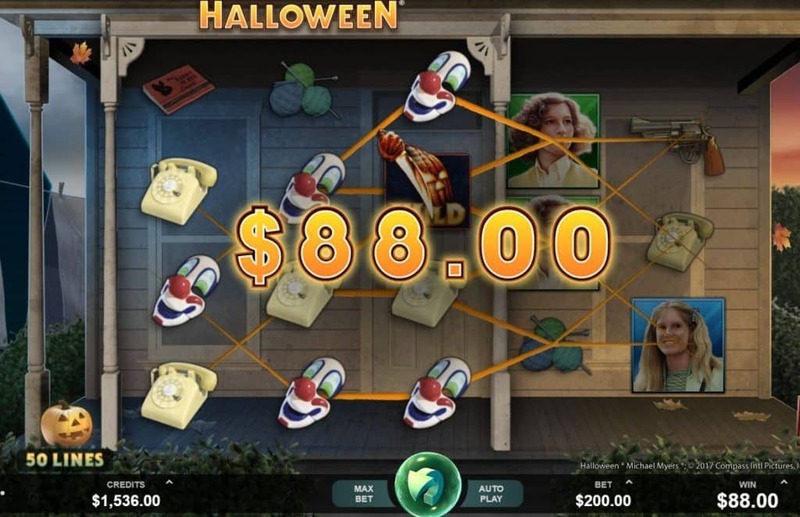 The selected games are the new licensed slot game from Microgaming, Halloween, which is based on the original 1978 film that launched the horror franchise, but also Microgaming’s Lost Vegas and Beautiful Bones slots. After the draw ends, all winning players will be notified by the casino by October 26th at the latest. For each m฿ 5 or €20 you spend betting on the new Halloween slot, the casino will give you 2 tickets for the raffle. The other two slot games, however, have a lower contribution and only give you 1 ticket for every m฿ 5 or €20 you spend on their reels. But the really great part is that if you’re lucky enough to grab one of the prizes, you will receive them with no wagering requirements attached and there will be no need to notify the casino before you withdraw them. The number one prize offered in the raffle is a cash infusion of m฿ 500 and there are also 83 consolation prizes that will be handed out in various amounts and numbers. Thus, even if you don’t win the main prize you’d still might be able to get your hands on some nice cash rewards, like the 3 runner-up prizes of m฿ 250 each, the 10 prizes of m฿ 125, the 20 prizes of m฿ 62.5, as well as the 50 smaller prizes, each worth m฿ 25. Whatever you win, you’ll likely greet Halloween with a grin. 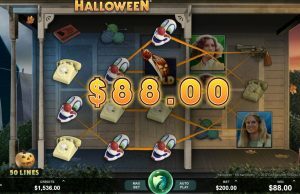 If you’re a fan of the original budget “slasher” film or licensed slots in general, Microgaming’s Halloween will definitely excite you. The slot is a new, 2017 game that comes with 5-reels, 50 paylines, and really creative bonus features. Of course, the meticulous attention to design and licensed symbols and audio samples are also evident in the game. Yet, the most interesting highlight of the slot is definitely the Wandering Reels feature, which is sort of like a magnifying glass that captures 3 different adjacent reels with each spin and offers Jumbo Block symbols for big wins. The game also comes with a Trick or Treat Bonus round, which is a wheel that lets you collect prizes until you trigger the Free Spins Round or the Boogeyman Round, where you’ll have to pick your way through a dark staircase and escape Mike Myer’s long sharp knife. So, if you want to get your adrenaline rush and win some money, it might be time to check out Bitcasino.io.